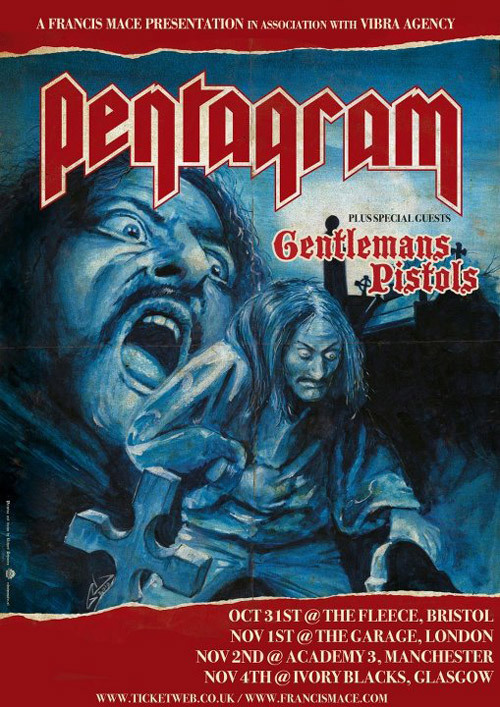 PENTAGRAM is now searching for the perfect player who can easily play the blazing, early blues-based, hard rock, proto-metal of the late Vincent McAllister as well as the doom metal mastery of the one and only Victor Griffin. Tone, chops, appearance, tour experience & availability (US and abroad so a passport is required), song writing skills, and sobriety are all important factors. The band will be writing/recording their follow up to the acclaimed Metal Blade release, Last Rites this coming December and January. Someone who is close to the Washington, DC area is preferred but exceptions will be made for the perfect player.